Vice, LoiNie, Kisses + more present at ‘Fantastica’ storycon! Find out who’s joining Vice in his newest movie! 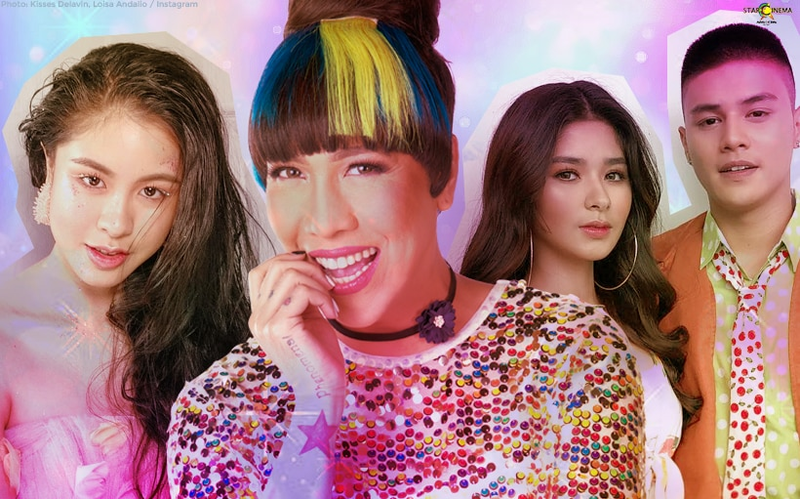 See related article: Vice Ganda, pasok na sa MMFF 2018! Unkabogable comedian Vice Ganda was, of course, present. This film marks his seventh MMFF entry. His other films “Sisterakas” (2012), “Girl, Boy, Bakla, Tomboy” (2013), “The Amazing Praybeyt Benjamin” (2014), “Beauty and the Bestie” (2015), “The Super Parental Guardians” (2016), and “Gandarrapiddo: The Revenger Squad” (2017) were all part of the yearly film festival. The “It’s Showtime” host was joined by Bela Padilla, Loisa Andalio, Ronnie Alonte, Kisses Delavin, Ryan Bang, Chokoleit, Lassy Marquez, MC Calaquian, and “Pilipinas Got Talent” season 6 finalist Joven Olvido. Raymond Gutierrez was also present, accompanied by his mother and manager Annabelle Rama, to represent his twin, Richard Gutierrez. 2016 Cannes Film Festival Best Actress Jaclyn Jose was also present at the event. Vice also said during a press huddle that Maymay Entrata and Edward Barber (MayWard) will join them in the movie, as well as Dingdong Dantes and Donny Pangilinan. Stay tuned for more updates on “Fantastica”!